If a day dedicated to bratwurst—titled Bratsgiving Day, of course—had its own character, as Christmas has Santa Claus, it would be Carl the Great Bratsgiver. Dreamt up by employees at Johnsonville, Carl spreads joy across the globe on National Bratwurst Day (also known as Bratsgiving Day) by spreading delicious products to brat lovers everywhere. Johnsonville and agency Droga5 wanted to turn National Bratwurst Day (celebrated on Aug. 16) into a true holiday where foodies could break out the grill one last time before the end of the summer and share some quality time with friends and family. This year, Johnsonville threw a special celebration in Kansas City to celebrate and introduce Carl, the ultimate embodiment of Bratsgiving Day, to the world for the first time. While Johnsonville has been celebrating Bratsgiving Day for three years now, the team felt that it needed something or someone to build its celebration of the holiday around. "We realized there wasn't really a back story or lure to Bratsgiving so we thought it would be really fun this year to create that using the members as the people who make the story up," Scott Bell, group creative director at Droga5, said. 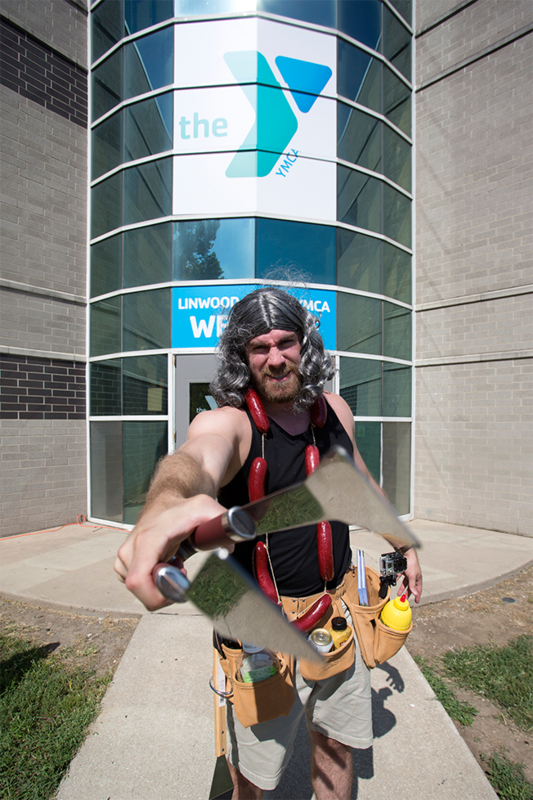 Johnsonville invited some of its employees to brainstorm a new character that represented the spirit and fun that comes with Bratsgiving Day. "Every year we want it to feel more and more like a real holiday. When you see Carl the Great Bratsgiver out, it becomes a little more real just how Santa Claus becomes a little more real every time you see him out at a mall," Bell said. 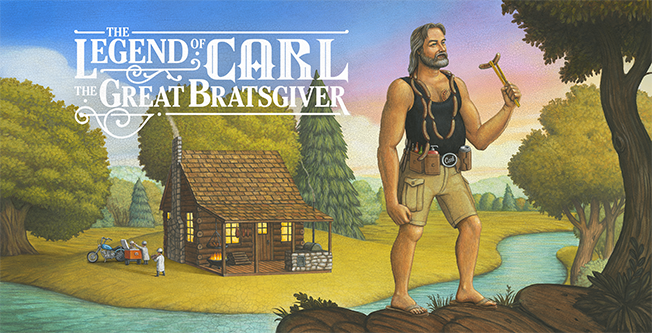 To help accomplish that, Johnsonville and Droga5 created an illustrated children's book—The Legend of Carl the Great Bratsgiver, which is available to read online—detailing the lore of the character, from what he wears to the heart-shape sausage tattoo on his chest. 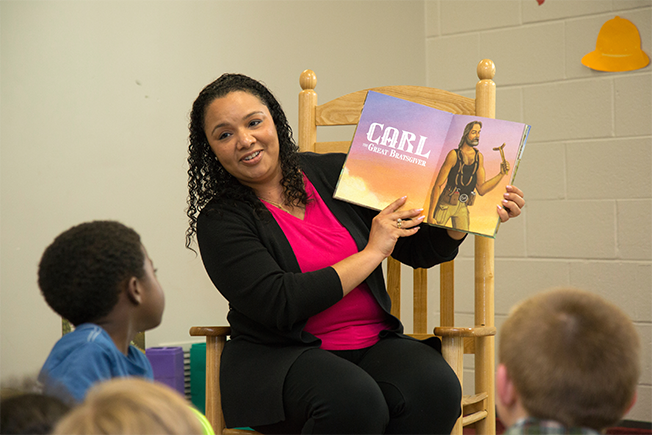 Just as you would read a book about Santa Claus around Christmas or the Easter Bunny around Easter, Johnsonville wants families to open up Carl's book on Bratsgiving Eve for years to come and share the joy of Bratsgiving Day with future generations. "Carl is going to be the character that makes everybody's Bratsgiving Day wishes come true. We expect him to be a centerpiece of our Bratsgiving program for years to come," Jamie Schmelzer, integrated marketing director at Johnsonville, said. 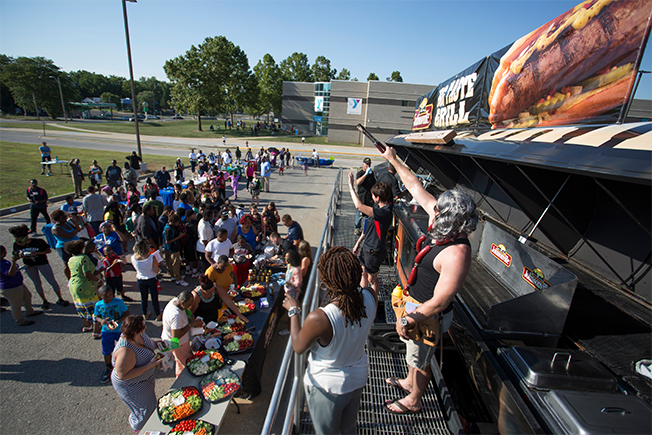 At this year's Bratsgiving Day celebration, held at a YMCA in Kansas City, kids were treated to a reading of the picture book, while Johnsonville rolled out its massive open grill, one of the largest in the world, for Carl to cook up some brats. Johnsonville donated all money raised from the event to the YMCA.